The International Civil Aviation Organization (ICAO) reached consensus among its Member States and the international air transport industry sector on the near-term priority to track airline flights worldwide. The consensus was reached during a Special Meeting on Global Flight Tracking of Aircraft, which was held in the wake of Malaysia Airlines flight MH-370 that went missing on March 8, 2014. The meeting established a framework for medium- and long term efforts regarding flight tracking. Under this framework, contributions by industry through an Aircraft Tracking Task Force (ATTF) coordinated by the International Air Transport Association (IATA) will help address the near-term needs for flight tracking. In parallel with IATA’s Task Force work, ICAO will begin developing a flight tracking concept of operations covering how the new tracking data gets shared, with whom, and under what circumstances. 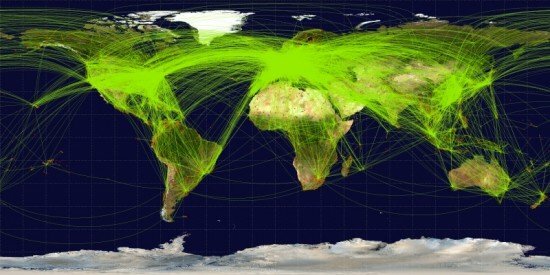 ICAO will also begin considering performance-based international standards, on a priority basis, to ensure broader adoption of airline flight tracking throughout the aviation system. The meeting also recognized the challenges faced by states when coordinating their search and rescue (SAR) efforts across national and regional areas of responsibility, stressing the usefulness of regularly run practice exercises to identify procedural or operational gaps.